Horticulture is a field that deals with the cultivation of fruits, vegetables, flowers, spices and Mushrooms. Keeping in view the idea of overall development of above said crops in the State of Haryana, the Haryana Government had bifurcated an independent Department of Horticulture from the existing department of Agriculture in the year 1990-91. 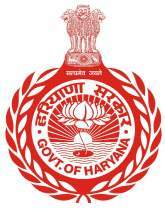 Since, then, the Department of Horticulture, Haryana is concentrating its efforts for the overall development of cultivation of fruits, vegetables, flowers, spices and mushroom in the state by ways of providing various valuable information, incentives and guidance to the orchardists of the state through its extension personnels posted at block level and district level. Information regarding various schemes run by the department can be obtained by contacting Horticulture Development Officers at block level, District Horticulture Officers at District level and Directorate of Horticulture at State level. At present, the following development schemes are being run by the department for the benefit of growers in the state under Macro Management Mode. Area Expansion Under this scheme there is a provision of free assistance for planting material and other inputs for the cultivation of fruit crops as per guidelines from GOI from time to time. Strengthening of Private Regd. Nurseries scheme Under this scheme there is a provision for assistance for the strengthening of private registered nurseries running in the state under Nurseries Registration Act. Schemes for integrated management of pest and diseases There is a provision of assistance on different type of plant protection equipment like Knap-sack, Gatoor and other manually operated spray pump for the control of insects, pest and diseases. Scheme for the popularization of Improved Horticulture Tools Under this scheme, there is a provision of assistance for the purchase of improved Horticulture tools for day to day use in orchards, tools like scateur, pruning saw, Khurpis, tree prunner and spades etc. can be purchased by the growers or may be supplied by the department also. Training of farmers Under this scheme training are being organized in batches comprising of 25 farmers each at Horticulture Training Institute,Uchani, Karnal on different aspects of Horticulture Development Technology from time to time. The period of training ranges from 3 to 5 days. Interested farmers can contact respective Horticulture Development Officer/District Horticulture Officer of their block/district for consideration their names for such trainings. As Hybrid Vegetable seeds are very costly and beyond the reach of common farmers, hence a scheme under the above said heading has been planned to popularize the use of Hybrid seed. Minimum and maximum eligible area for the assistance will be half to four hectares. Under this scheme assistance will be given on demonstration plot of 0.5 hectare on planting material and inputs of medicinal and aromatic plants. Drip Irrigation Keeping in view the shortage of irrigation water and to conserve moisture, the farmers are being encouraged to adopt drip irrigation technology. There is a provision of assistance/subsidy for the purchase of drip irrigation equipments by the growers under this scheme as per guidelines from GOI. Establishment of Green Houses To raise off-season seedlings and vegetable nurseries under controlled conditions, the setting up of green houses is must. Under this scheme, the beneficiaries can get assistance for the construction of green house at their field. Assistance is also available for the purchase of Shading Nets and low tunnel material. In order to increase the area under flowers and to boost up the income of farming community the said scheme is being run under which the beneficiaries are given demonstration plot of flowers like Gladiolus and Marigold of 2 Kanal each in the form of planting material and inputs. Besides from the above mentioned schemes, the department is also running and maintaining about 25 Govt. Garden and nurseries situated at various places in the state. At these nurseries various diseases free, pedigree, true to type fruit plants are being produced from where the growers can purchase plants of different species at nominal and Govt. approved rates. The department also registers private nurseries in the state. The growers who have their own orchards of different mother plants of different species and wish to start a nursery production work can get their nursery registered from the department under Nursery Registration Act on submitting the application from along with license fees of Rs.2000/-.